I like to clip a small bow like this onto a bigger bow, or even glue it directly onto a bigger bow. If you mount the strawberry on a alligator clip, it can be work in the hair like that, or you can clip it onto a bigger bow. 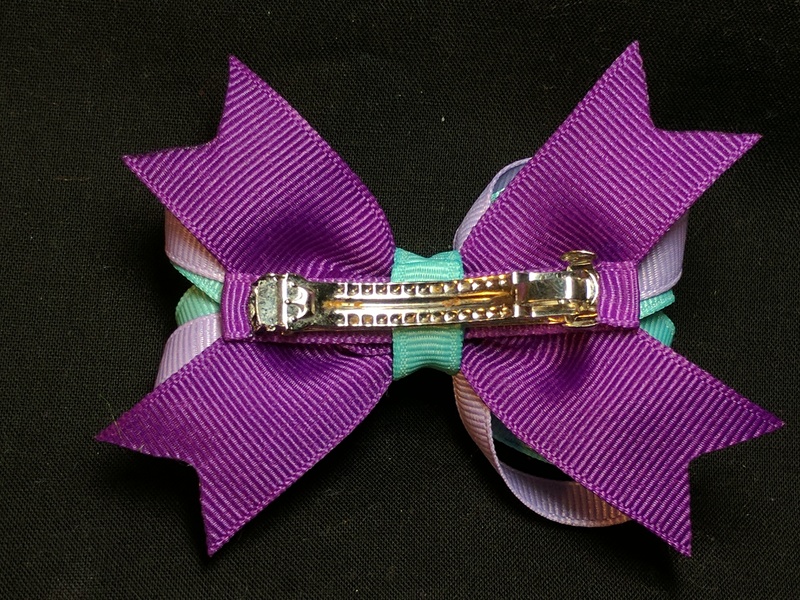 This boutique bow is made from 1.5″ wide grosgrain ribbon and is about as small as a boutique can be with this width ribbon. Please see my other tutorials for how to make each part of this bow. Sorry, no tutorial available yet for this one. 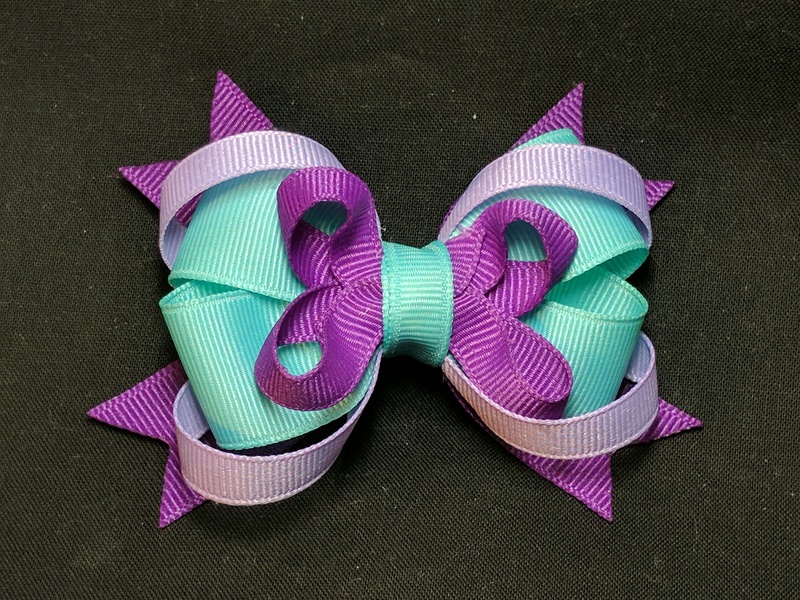 Please add a comment below if you’d like to request to see instructions on how to make this particular bow.